In a valley at the foot of the Berkshire Mountains, a struggling industrial town is trying to make an artistic comeback. North Adams is now home to MASS MoCA, one of the largest museums of contemporary art in the world — housed in 26 former factory buildings. There are many small towns across the country struggling to keep themselves viable as they lose business to overseas manufacturing. Marfa, TX, Beacon, NY and North Adams, MA are three who are succeeding by making themselves a destination for art and artists. This post concentrates on North Adams and the Berkshires. 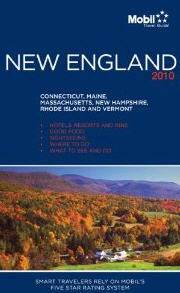 so if you are looking for something to do this fall head up to the Berkshires and the town of North Adams, MA. If you love art and the fall season, you will very much enjoy western MA. 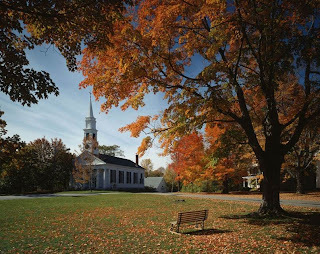 What is so great about the Berkshires besides being a lovely place to visit anytime of year; MASS MoCA old industrial buildings, pretty bike trails, covered bridges, Williams College and the artsy town of North Adams. 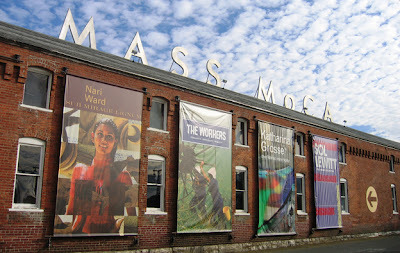 MASS MoCA is an old factory tuned into a extraordinary art museum. MASS MoCA is made up of 26 brick buildings: 600,000 square feet of sunlit space, equivalent to a mid-sized airport. 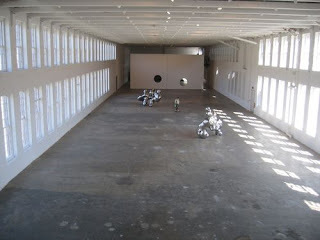 The museum was created to exhibit large works of contemporary art that would not fit in conventional museum galleries. An old textile plant, the museum houses 100 huge drawings by Sol LeWitt and a sound installation crafted out of a rusty interior bridge by Glenn Kotche, the drummer for the band Wilco. The museum is part of the revitalization of North Adams, MA., a mill town that crumbled when manufacturing moved overseas. North Adams also a location for numerous art galleries spread throughout the city old mills have been converted to lofts for artists to live and work in. Read more at NPR . What does the band Wilco have to do with North Adams and MASS MoCA? On April 6, 2010, Wilco announced during their Boston performance that they would be headlining and curating a festival in North Adams, Massachusetts, dubbed Solid Sound Festival. The event ran at the Massachusetts Museum of Contemporary Art and featured various Wilco side projects, including The Autumn Defense, Pronto, The Nels Cline Singers, and Jeff Tweedy solo. Wilco has helped North Adams become a premier cultural destination for art and music. For more art there is also Williams College about 7 miles west of North Adams. When you imagine old college towns in New England in the fall, Williams College is what you are imagining. Old buildings surrounded by brilliant maples and a main street full of art shops, hippie shops, and coffee shops. It is full of students and is very friendly. Visit Williams College Museum of Art where 13,000 objects and growing, from Assyrian reliefs to contemporary photography are housed. If you are going to to go up to the Berkshires you may as well travel to Brimfield, MA for the largest antique show in New England. 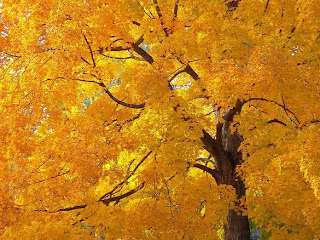 Then you can end your Berkshire visit by driving on Route 2 filled with hairpin turns and spectacular fall color. It was America's first scenic automobile route. 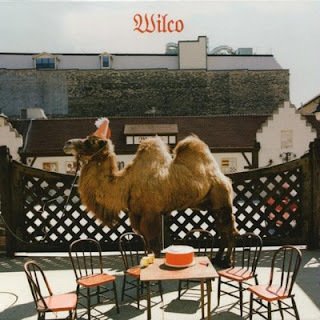 So grab some Wilco to listen to and head up to Western, MA. Below are some items in the Central Library to help you with your trip. Click on the images to access our catalog.